So beautiful! 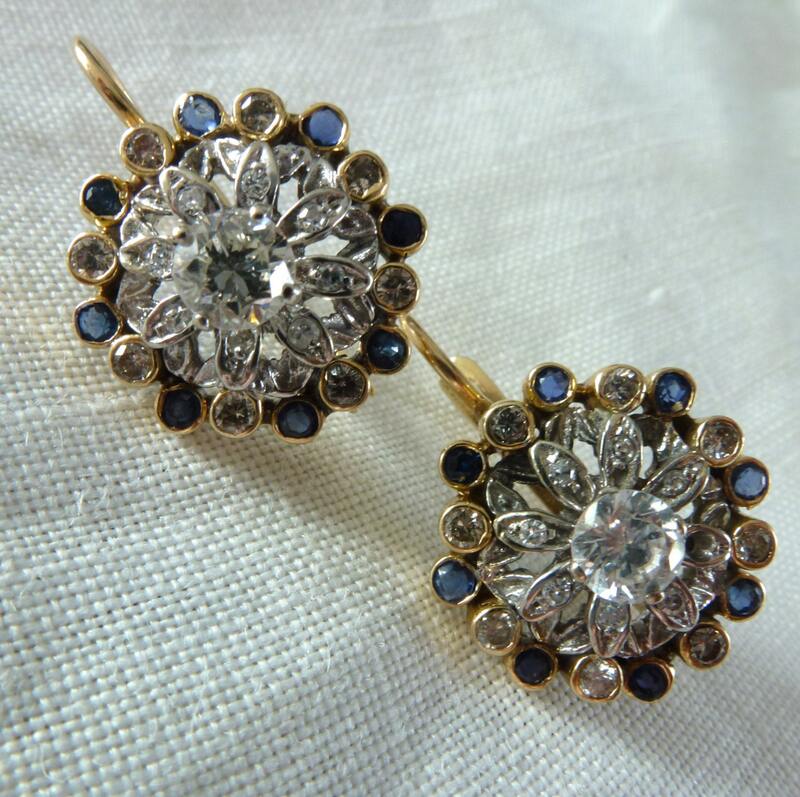 Here is a pair of stunning diamond and natural blue sapphire cocktail style pierced earrings set in 14kt gold with lever backs for security. 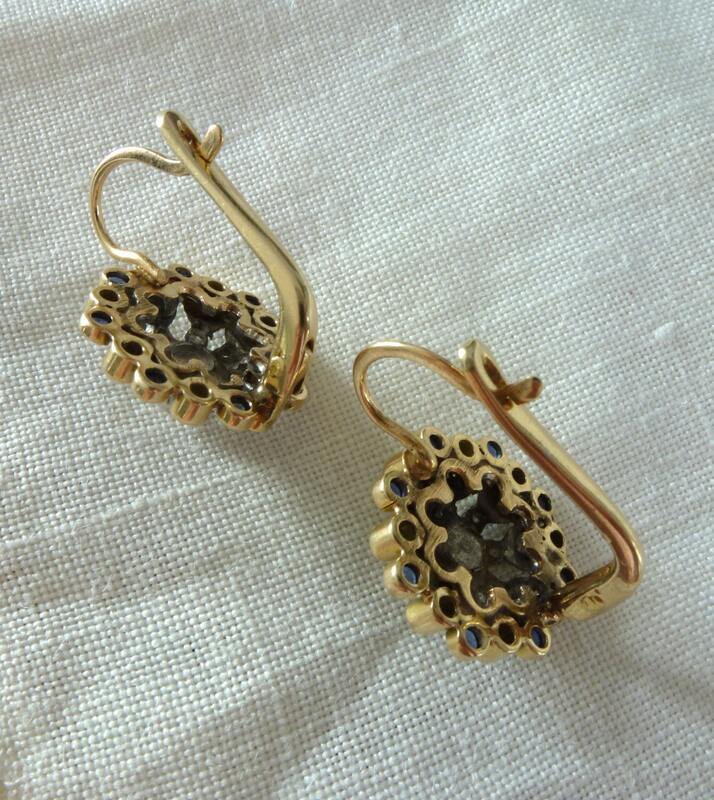 These gorgeous earring will amaze you with their sparkle and style! 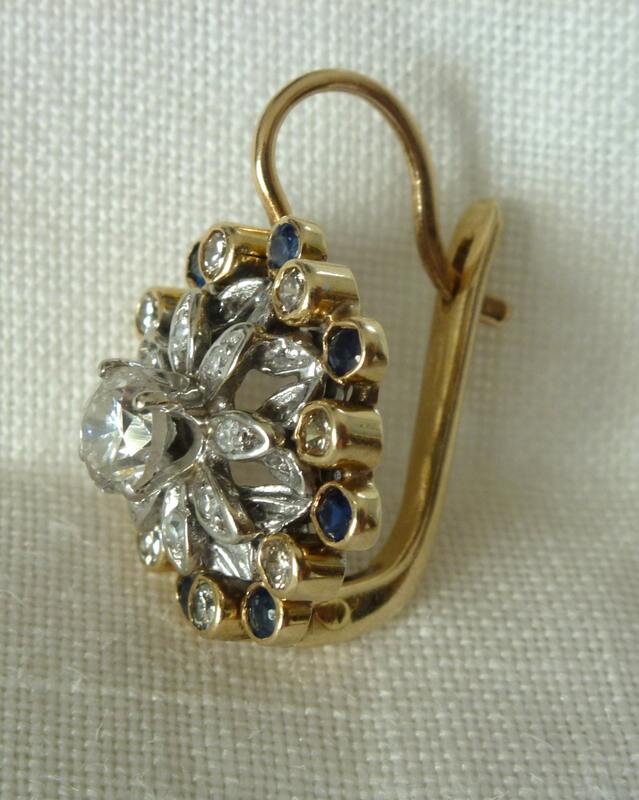 I believe that they date to the sixties or early seventies, you simply don't see earrings like this anymore. 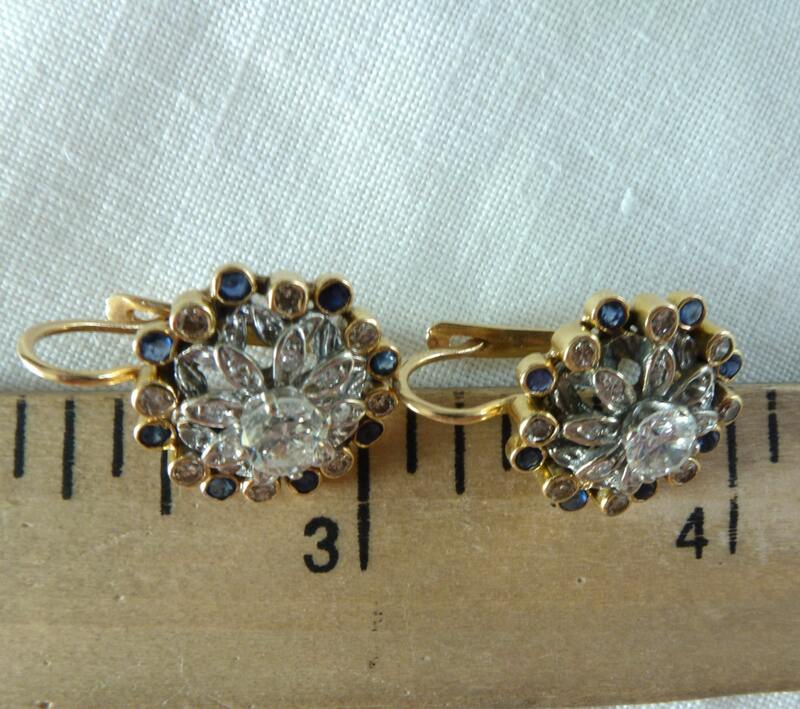 The genuine sapphires are just a lovely shade of blue, set in yellow gold bezels alternating with bezel set diamonds around the perimeter. The main diamonds, each about .35 of a carat, are so white and clear with lots of flash and fire set in white gold with little leaves of white gold and teeny diamonds around them. 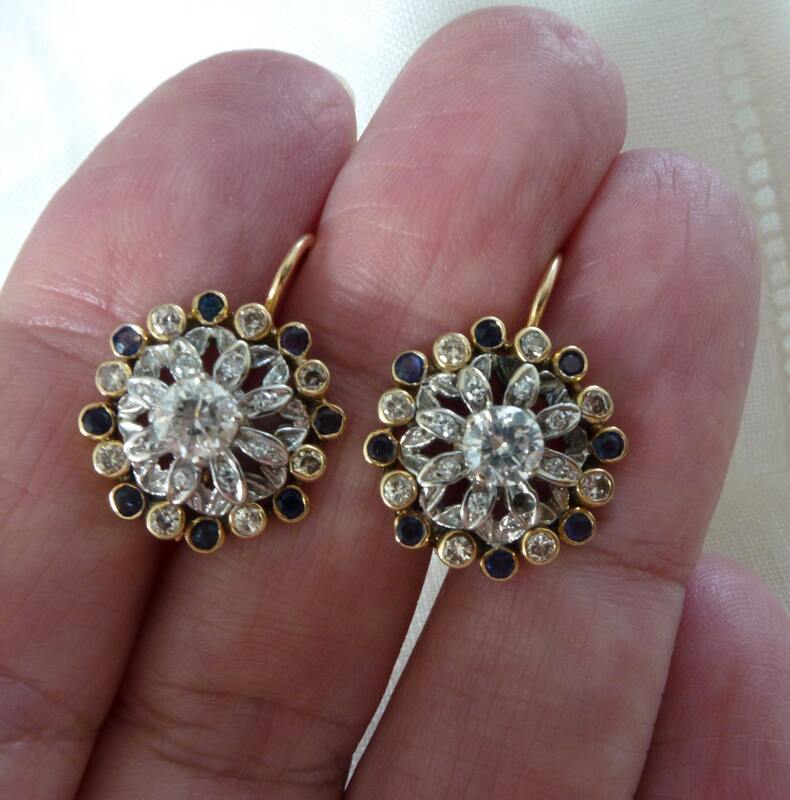 These are very special earrings but really can be worn with anything from the fanciest dress to the most faded blue jeans, always adding your own bit of pizazz! I will ship this item to you for free via Priority mail!